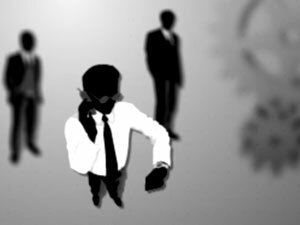 Here you can consult presentations on a wide range of services rendered by the company and its trading conditions which attractiveness has been appreciated by over 7,000,000 traders all over the world. Any video below can be downloaded in a few minutes. 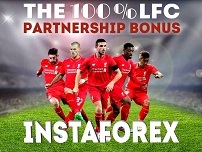 Liverpool FC & InstaForex- become a Legend right now! InstaForex - the choice of winners! Jaguar F-type is a powerful premium sports car. Superior performance and instant response. Once the engine starts, Jaguar immediately pulls away with a deep and mellow rumble. The supercar stands out from all the rest by a stunning layout and great practical value. Indeed, the car enjoys weighty advantages: extremely comfortable handling, record acceleration and top speed. Your dream of a perfect car comes true with Jaguar F-type! Do you like Forex trading as well as football? In this case our offer is for you! Our partnership with Liverpool FC gives you a unique opportunity to get the 100% bonus on first deposit. You just need to open and top up a live trading account and fill in the application form. Bonus funds are not available for withdrawal and are credited to deposit up to $2000 but you can withdraw all the profit from these funds without any restrictions. At InstaForex seminar for partners in Kuala Lumpur Robby Fowler, the event`s headliner, shared his living principles and gave some useful tips on how to succeed in sports and life. 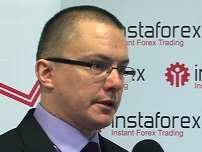 Tells about searching for a trading strategy (InstaForex conference in St. Petersburg, October 2015). Victoria Azarenka, Olympic gold medal tennis player. What inspires you and gives you strength to achieve your goals? Famous tennis player Victoria Azarenka told about those who motivated and guided her when she was a teenager and what helped her clinch the world No. 1 ranking. Lecturer on trading techniques and psychology of trading, tells about trader`s essential character traits needed for successful work on financial markets. Millions of Russian Formula 1 fans cheered the long-awaited Grand Prix in Sochi, a city enjoying the utmost economic boom in Russia. InstaForex took advantage of the situation and prepared one more gift for its clients. The most devoted trader was awarded a journey to Sochi and a VIP ticket for Formula 1 Grand Prix, the queen of motorsports. InstaForex representatives took an excellent opportunity to share some exciting news with the visitors at ShowFx World exhibition in Kiev. Roman Tsepelev, Strategic Development Director at InstaForex, described how to participate in the Heading to Anfield contest. It`s a breeze to change your life for the better. The main things you need are courage and determination. Many visitors of InstaForex conference took concrete steps on their path to success. The bonus account as well as basic principles of technical and fundamental analyses they got at the conference contributed to the positive changes. The winners in 4 categories of the 5th season of Miss Insta Asia were awarded prize certificates as part of the financial conference held by InstaForex in autumn 2014. InstaForex congratulate the girls on their winning. 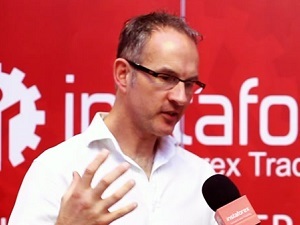 InstaForex analyst speaks about how the forex market has changed for the recent decade. InstaForex analyst speaks about attractiveness of the forex market and its difference from the stock market. "Female colleagues on Forex inspire men". InstaForex analyst speaks about an analyst`s daily routine and his favorite currency pairs. Analyst at InstaForex, "An urge to sit in front of the monitor is a disease of all newcomers". Director of Special Projects at InstaForex, speaks about the way InstaForex treats its customers. The leader of Russian Time racing team (GP2 series) tells about the success formula of transnational teams. Expert in Heikin-Ashi technique tells about aspects of its use. Oleg Taktarov, a sportsman, actor, and showman, talks about a trader`s capability to keep balance and stay active and fit. Author of FRS-Rus project in ForexCopy System, "Forex is an exciting job and a reason to improve yourself." How is it better to invest in financial markets in order to get steady profits? The visitors of the annual InstaForex conference got the answer to this question. 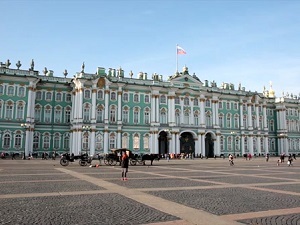 The conference took place in St. Petersburg, Russia`s cultural capital. Renowned financial experts speaking at the conference introduced the audience to innovations in technical and fundamental types of analysis. They also disclosed opportunities that become available thanks to investing in Forex. How to become an InstaForex partner not being a currency trading expert? In Almaty, the company introduced its new program called CPA. The program is primarily oriented towards beginners. ShowFx World conferences in Kazakhstan with InstaForex as a participant have become a good tradition attracting a growing number of visitors. 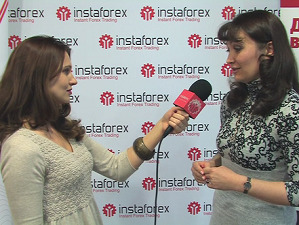 InstaForex TV correspondent Anna Kasatkina found out why traders were so interested in these events. 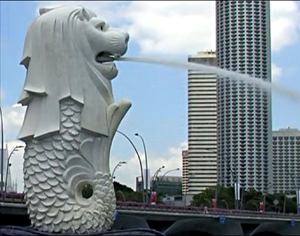 Singapore is the best example of how courage and united affords can make a tiny town a prosperous giant. August 15 and 17, 2014 InstaForex partners from Indonesia, Malaysia, Thailand, Vietnam, and Filipinas got the great chance to come to this city for workshops to discuss major issues of the affiliate program and get tips on client attraction and work with customers. How to make your fortune trading on financial markets? The visitors of the ShowFxAsia conference held in Singapore know the answer. InstaForex was among the participants of the event too. Financial experts and analysts from the largest brokerage and training firms were eager to share trading strategies and gave newcomers useful advice. The IAIR Awards ceremony was held in the heart of Hong Kong. It is the city where Buddhist legacy naturally blends with modernity. One of the prestigious awards was given to InstaForex. 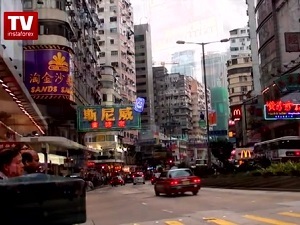 This video unveils the details of the event and lifts the curtain on the Hong Kong life. InstaForex affiliate program was acknowledged as the best one in 2013. The prestigious award was handed out at ShowFx World conference in Moscow. During the event, InstaForex presented Forex Trainer, its fresh product for traders, who decided to turn their hands to the Forex trading. 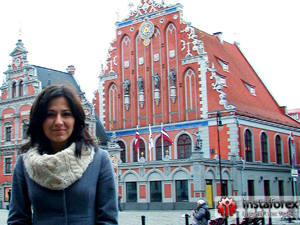 The population of the most recent member of the euro area, Latvia, is highly interested in forex trading. 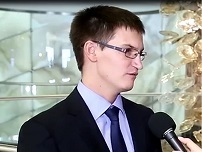 The second annual conference held in Riga gathered both new-comers and well-experienced traders. Experts named as the best analysts of 2013 by InstaForex clients rendered their professional advices. 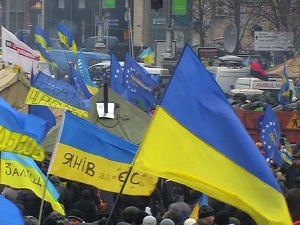 Active citizenship of the Ukrainians includes involvement in the country's political life and continuous search of ways to earn money with forex trading one of the most popular ones. The popularity of Forex in Ukraine is confirmed by a great number of InstaForex customers from Ukraine and 21 offices throughout the country. It was a tough choice for the judges of the beauty contest. However, the decision is made and you can see three widely different and beautiful in their way women on the podium who have first-hand experience of the forex market. Yekaterinburg is one of the largest financial centers in Russia. This is the place where a sharp rise of new traders with InstaForex has been recorded lately. The company has a client-oriented approach and that is why it contributed to the organization of the conference in Yekaterinburg. Growing investment activities in Kazakhstan and various training seminars held among local citizens attracted attention of InstaForex. Traders in this country become more and more experienced and successful on the international forex market year by year. Thanks to sponsorship of InstaForex, Marussia F1 Team took part in the 2013 Formula 1 Singapore Grand Prix. InstaForex team members visited this event with great pleasure and rooted for Marussia F1 Team in the stands. 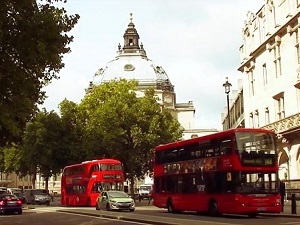 London is known as one of the world`s leading financial centers. Three major UK award-giving bodies held there evening events to announce the winners in different categories where InstaForex was honored to receive three prestigious awards. High-level acknowledgement of the company`s success means InstaForex is on the right track. Tired of boring forex reports? You want to know the real insights of Cyprus crisis? 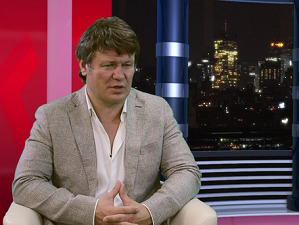 Don't miss the view of the legendary finance expert, Oleg Taktarov! Everybody can trade on Forex now. All you need is the computer with internet connection. But newbies might find the terms and charts difficult to understand. This video will unscramble the forex trading so that you will know Forex inside and out. "I never think of the future - it comes soon enough" is a famous quote by Albert Einstein. Do not waste your time, join InstaForex and embark your path to success right now. To be among our partners is easy. 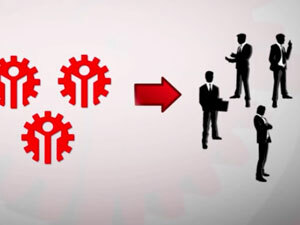 We offer you 10 different types of partnership. Find more benefits of dealing with InstaForex in this video. 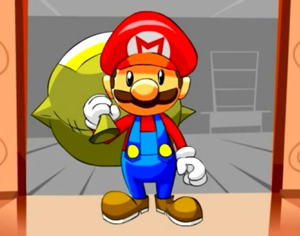 Work with the high-fliers and earn more! Participants of ShowFx World Finance conference in Riga have gathered to discuss topical issues and get the useful knowledge about peculiarities of the currency trading. 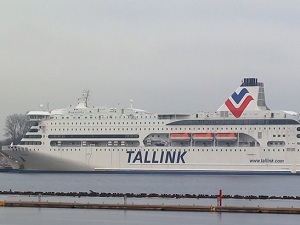 The meeting was held in the very heart of the Latvian capital, in the fashionable Radisson Blu Elizabete Hotel. Hundreds of participants shared their experience, asked questions and, what is more important, got the answers from InstaForex representatives and leading trading specialists Valdimir Ribakov and Steve Ward who delivered their reports. Once again InstaForex was the title sponsor and actively participated in the event. Watch video report by InstaForex TV for more details. Once again Kiev gathered participants and guests of the ShowFx World financial exhibition. It has become a tradition that InstaForex takes the most active part in the event. 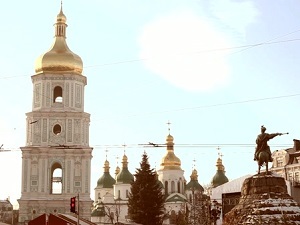 For the broker Ukraine is an increasingly growing market in terms of both customers and partners. That is why the company`s exhibition program in Kiev was rather rich. Apart from presentations of new services, achievements and future plans report, InstaForex representatives told the guests about how to become the broker`s partner in Ukraine and how effective this partnership can be. 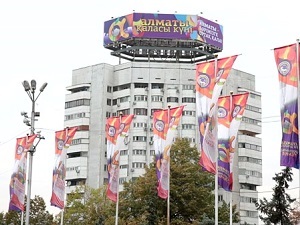 On December 8, 2012 the investment conference arranged by brand ShowFx World took place in Almaty, the southern capital of Kazhakhstan. InstaForex attended the conference. The country`s biggest city with more than one million residents was of great interest to InstaForex, which was repeatedly acknowledged as being the Best Forex Broker in Asia. 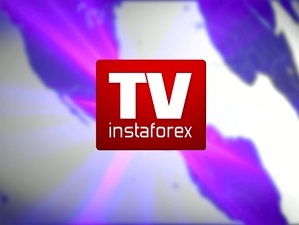 Watching a special InstaForex TV video report, you will know relevant information about the conference as well as peculiarities of trading on the financial markets of Kazakhstan. InstaForex invites everybody to reach the top of Forex trading! A great variety of services, convenient and favorable conditions, innovative technologies – InstaForex has all you need and even more for successful trading on the currency market. Watch our promo video to check. Trading with InstaForex is an opportunity to rise above the routine, work troubles and financial problems and plunge into your favorite activity. You trade anywhere and anytime earning your living in comfort. 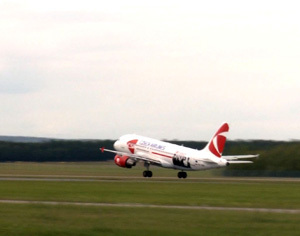 Now flying with InstaForex is much more than a metaphor! 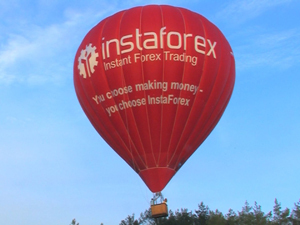 InstaForex branded aerostat allowed the company's clients to feel themselves the kings of the sky! The balloon was launched in summer 2012 during the international trading convention in Crimea. Traders could see the bright and assertive logo of the company soaring in the sky. InstaForex has participated in the regular ShowFx Asia exhibition held in one of the largest financial centers in Asia – Singapore City. Two days of exhibition allowed us to present our innovative Forex services to wide audience and draw prizes and managed accounts among the visitors. We invite everybody who could not attend the exhibition to do it with InstaForex TV journalists. 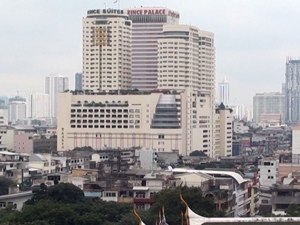 Bangkok is the capital of Thailand and the largest city in the country with thousands of small and large enterprises. Its population numbers 15 mln. The rate of economic growth and the standard of well being transformed Bangkok to a famous financial center and a spot of attraction for the world business community. Today Bangkok can compete with such cities as Singapore and Hong Kong as it encompasses manufacturing, tourist, business, and other economic sectors. Bangkok is a perfect place for organization of investment conferences and business meetings. That is why InstaForex Company has several offices in the capital of Thailand, which enable cooperation with tens of thousands traders from this unique city. Today, Hong Kong consolidates position as one of the leading financial centres in Asia. It has one of the most perfect and stable economies in the world with everything necessary for business and particularly Forex trading. Low taxation and governmental non-interference in economic affairs make Hong Kong the most important financial and commercial centre. 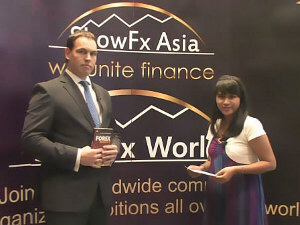 Watching the special report by InstaForex TV, you can plunge into the world of business and economic freedom of Asia. InstaForex presents you a cartoon about a variety of the services it provides. What is interesting about this animation is its form and content telling about all the advantages of cooperation with InstaForex, one of the leading brokers in the world. 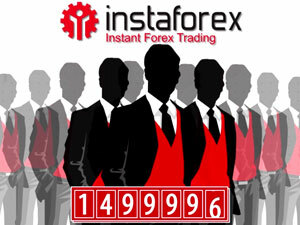 The animated movie will help you to easily attract clients to cooperate with InstaForex. Grand Dinner arranged by InstaForex in Kuala Lumpur, the capital of Malaysia, was successfully held on October 6, 2012. The event gathered 750 traders from different parts of the country and could be rightfully called the most large-scale Forex event in Malaysia. Everybody was pleased with InstaForex Grand Dinner as it was organized at the highest level. Millionaire trader Ahmad Ariff was a special guest of the meeting. The occasion was accompanied by famous musical performers, the visitors could participate in the InstaForex raffles of modern devices and prize accounts. Today Singapore is one of the most developed countries in the world; in this city-state active financial life ensures a favourable investment climate. 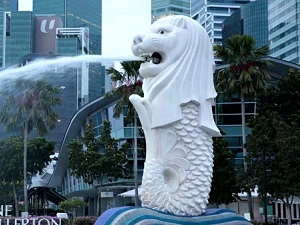 Fast-growing economic indicators as well as highly advanced sector of financial services make Singapore one of the main business centres in Southeast Asia. 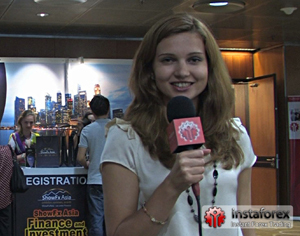 InstaForex regularly takes part in the international ShowFx Asiainvestment exhibitions traditionally held in Singapore. 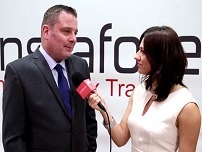 Watch our special video report including an exclusive interview with InstaForex representative Alexandr Gorunov as well as surprises prepared by the company for the exhibition participants. 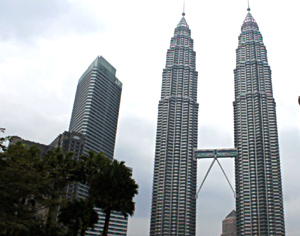 Kuala Lumpur is the capital of fast-growing Malaysia. Kuala Lumpur is both commercial and industrial heart of the country and the financial centre of Southeast Asia. Nowadays, Kuala Lumpur is attractive for investments of any kind, from direct ones to portfolio. A lot of financial forums, congresses and exhibitions take place in Malaysia. 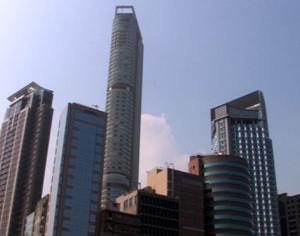 Many banks, insurance companies and stock exchanges are situated in Kuala Lumpur. InstaForex has several offices in this city, which reflects the importance of the region for the international broker. InstaForex would like to introduce you to a very special member of the team and the first ever Forex robot — Fx Bot. Fx Bot embodies the striving of the company to offer its numerous customers only the latest developments in the sphere of currency trading. The idea of Fx Bot lies in the idea of telepresence implemented by the leader of robotic technology market, RBot company. 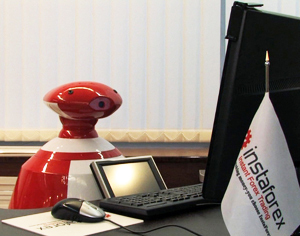 The robot Fx Bot operated by InstaForex representative via WiFi can communicate with people, display videos and illustrations, thus performing the role of an office manager. Every person willing to see Fx Bot is free to make it at one of exhibitions InstaForex regularly takes part in. Singapore is not only a dynamically developing country in Southeast Asia, but it also has one of the most advanced market-based economies underpinned by a resilient financial system. Today, the city-state of Singapore takes a leading position among highly industrialized Asian cities, carrying on financial activities, supporting the local business community as well as the exchange market. InstaForex representatives once again visited this beautiful tropical city for Finance and Investment EXPO 2012. One of the most ancient and gorgeous cultural centres of Spain lies by the Tormes river. It goes by the name of Salamanca. Being a city of crucial importance during the Renaissance period, Salamanca still charms with its splendours. The extant medieval architecture is in tune with neighbouring modern buildings; the city harmoniously combines business and cultural realms. 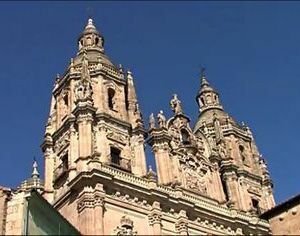 Part of the UNESCO World Heritage, Salamanca cherishes its old traditions while following contemporary trends. 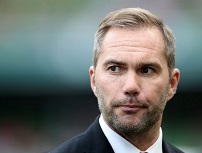 Let us take sports, for instance. Salamanca basketball team Avenida for which Ilona Korstin, the face of InstaForex, plays won the final match of Spain national basketball tournament held in this fascinating city. The famous basketball player and the face of InstaForex, Ilona Corstin, tells us how sport helps to become successful on Forex. Today the star of women's basketball effeciently trade on the currency market and plays for the Spanish Avenida club in Salamanca. 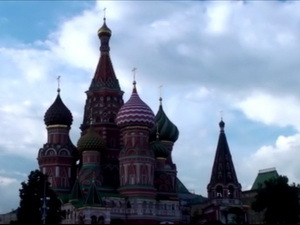 The video is dedicated to a ShowFx World financial exhibition that took place in Moscow on November 11-12, 2011. 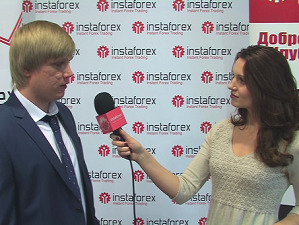 We present you a brief video report on this event and an interview with InstaForex Senior Development Manager Pavel Shkapenko about accomplishments of the company in the Russian Federation. InstaForex Loprais Team partook in the spectacular Dakar 2012 Rally raid. 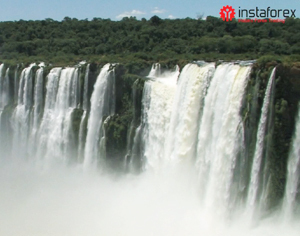 As a title sponsor of the rally raid, InstaForex sent its TV professionals to South America to film it. They were totally impressed by the famous gushing waterfalls of Iguazu and the second largest Bird Park in the world nearby. 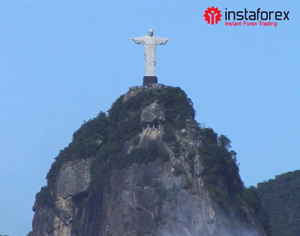 Travelling to South America to cover the Dakar 2012 Rally raid, InstaForex representatives visited one of the world's brightest cities, Rio de Janeiro, and experienced what it is like to celebrate the New Year in a Brazilian style. Rio may well become one more city to represent InstaForex in the closest time. The video shows a vivid life and curious sights of Rio de Janeiro as well as conveys the New Year traditions cherished in the capital of Brazil. The United Arab Emirates seems to be a country where everything you dream of can come true, and its capital Abu Dhabi is a land of breath-taking fantasies. Abu Dhabi is one of the world's financial centres holding specialized exhibitions and conferences every year. 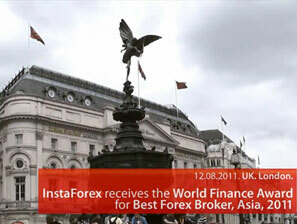 In 2011, at Forex&Investment Summit the international broker InstaForex was awarded as the Best Retail Forex Broker. We would like to present you a report on a fascinating journey of InstaForex correspondents to Dubai - a trade mecca of the Middle East. The aspiration to permanent modernization and thirst for high technologies harmoniously coexist with religiosity and traditional way of life. 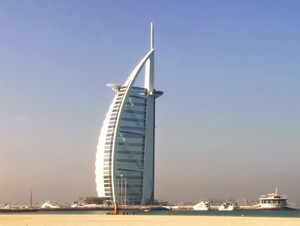 Dubai is also a big financial hub and a place for top-level business meetings. A ridge of skyscrapers which have changed the horizon line forever and multilevel highways - this is what Dubai, an administrative and commercial centre of the United Arab Emirates, is. In this multicultural metropolis the aspiration to permanent modernization and high technology coexist peacefully with religiosity and traditional way of life. InstaForex venerates traditions as well. Especially for Islam adherents swap-free accounts were established. Furthermore, Dubai is the world's biggest gold trade centre. The famous gold bazaar numbers over 1000 gold stores. Jewellery is tax-free, so gold purchase is a very beneficial cash injection. The City of Gold with its centuries-long history is a financial hub of universal importance and a place for high-grade business appointments. 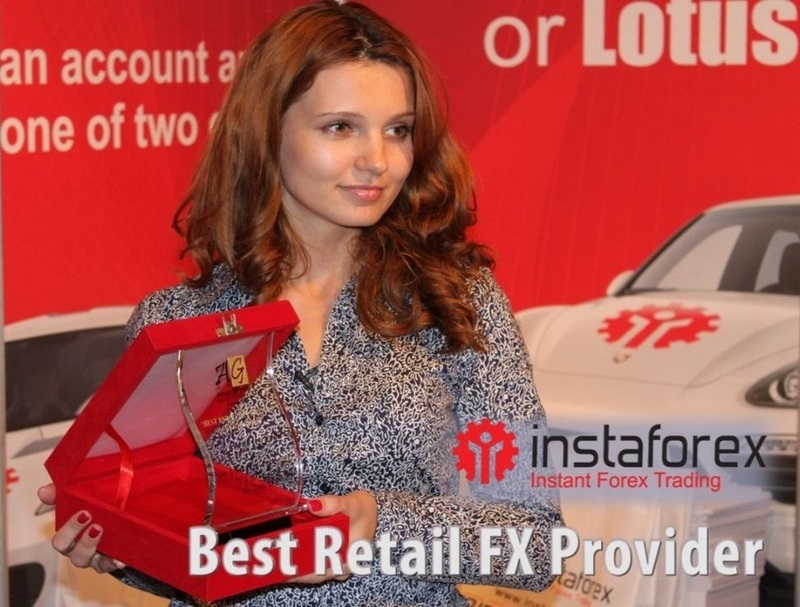 The international broker InstaForex was awarded as the Best Retail FX Provider at the Forex&Investment Summit which took place in Abu Dhabi (United Arab Emirates) on November 15-16, 2011. The Company attaches great significance to the award, as it is given on the basis of results of open voting held among traders and is a confirmation of strong clients' loyalty. This is a 12-minute documentary about InstaForex Loprais Team filmed by InstaForex TV professionals. This video contains the exclusive interviews with the Loprais family members and tells about everyday team life, training for big races and severities of forthcoming competitions. At World Finance Awards, the British magazine World Finance named InstaForex the Best Broker in Asia for the third time in a row. Check out a short review of this event and enjoy London sights. 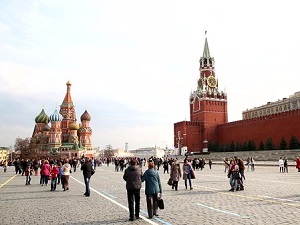 The report is about the famous Silk Way Rally which started on Red Square in Moscow and finished by the Black Sea. InstaForex Loprais Team celebrates victory after 4,000 kilometers of the off-road race! In an interview with a company's representative, team pilot Ales Loprais recollects the brightest moments of the Silk Way Rally and tells about specifics of truck racing. Vojtech Stajf, InstaForex Loprais Team navigator, shares his views about teamwork and the role of every team member with InstaForex TV. In her exclusive interview for InstaForex TV, Ilona Korstin tells us about the most relevant victories in her life and about her charity activities. From this video you will learn why the award-winning basketball player chose InstaForex as her broker. Being the face of InstaForex, she won the European Championship with the Russian national basketball team for the third time, thus getting a ticket to the summer Olympic Games 2012 in London. In his interview for InstaForex TV, the young grandmaster Magnus Carlsen notes that in order to succeed in any field one must develop himself and have certain talent and luck, but the most important factor is to enjoy the process. 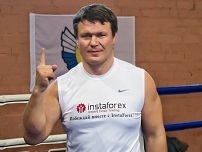 Trying harder than anyone else, never resting on one's laurels, moving forward and opening new horizons - here is the formula of Oleg Taktarov's impressive victories. The sole winner of the UFC Championship gives an exclusive interview for InstaForex TV, in which he shares the secrets of his success as a sportsman, actor, TV presenter, public official, and trader. In 2010, InstaForex took part in an international exhibition organized by ShowFx Asia in Jakarta. Below you can familiarize yourself with the interview with Dmitry Savchenko, InstaForex Deputy Director, dwelling upon the major achievements of the broker in Asia. In June 2010, the exhibition by ShowFx Asia was held in Singapore. 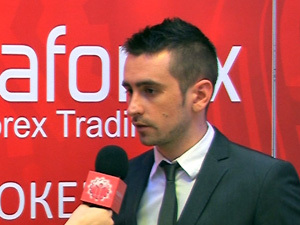 Being an international broker, InstaForex became one of the participants. In his interview with the exhibition organizers, Vladimir Syrov, the Director for Business Development at InstaForex, tells about the activity of the company in the Asian region, thanks to which InstaForex was named the Best Broker in Asia. In September 2010, InstaForex awarded the winner of the Hummer to a Jammy Fellow campaign a brand-new Hummer H3 offroadster. 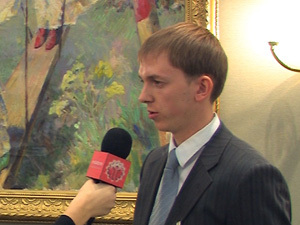 Russian trader Ruslan Makhauri, the current owner of the prize auto, shares his impressions in the interview. The video is dedicated to advantages of each of the sport cars raffled by InstaForex. Which car is better: Lotus Evora or Lotus Elise? This video will help you find the answer to this question. Interview with InstaForex Loprais Team leader Ales Loprais. The experienced racer tells how to win and highlights the importance of being optimistic. How to create a playlist in the standard Windows Media Player? choose the Create option in the Multimedia Library section of the playlist. pick the preferred files and drag them with your mouse to the Windows Media Player playlist. using the dialogue box on the right, you can save the playlist you created to a certain folder, rename or alter the list of files, set playing parameters or remove the playlist.